All businesses strive for an efficient organization that is streamlined and productive with happy staff and valued customers. Because of this, it’s important to take stock every now and then and look at areas in your business that offer room for improvement. 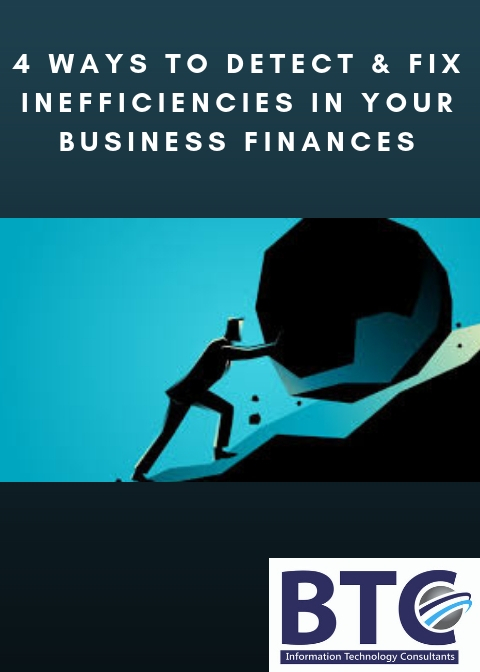 Your finances are an integral part of your business and a key player in the business’ overall productivity, so ensuring that your finances are efficient and organized will give you a huge return for your time investment. With the technology and software at everyone’s disposal today, tedious day to day tasks are able to be regulated and made more efficient than ever before. Specialized software is no longer the domain of large multi-nationals, every small business now has access to a wide range of great software that can help to organise, streamline, and increase the productivity of your business. Use it! A bank reconciliation is a process of matching the balances in your accounting records for a cash account to the corresponding information on a bank statement, with the idea of ascertaining the differences between the two. It should be completed at regular intervals for all of your bank accounts to ensure the business’ cash records are correct. Conducting a bank reconciliation may find that cash balances are much lower than expected, resulting in bounced checks or overdraft fees, which of course are better to be avoided. It’s important to clear bad debts. The last thing you want to do is roll over bad debts or outstanding bills into the new financial year. Make debt repayment strategies a top priority for your business to ensure that you are paying off any outstanding amounts quickly and efficiently on a regular basis. Create a system where all aspects of your finances are dealt with on a weekly basis, and not left to build up or be forgotten about. Part of doing this includes revising your budget and examining the business’ income and expenditure. Find patterns of inefficiency or areas for improvement. You don’t have to wait until the beginning of the new financial year to do this. Revise your financial goals, sales targets, short-term and long-term business vision. Have a clear vision. Have everything written down and properly thought out. The more time you spend on planning and organising, the easier you will make a life for yourself in the future, and the more efficient your business will run. Let us help you in fixing and detecting business inefficiency with our innovative technology and experts.